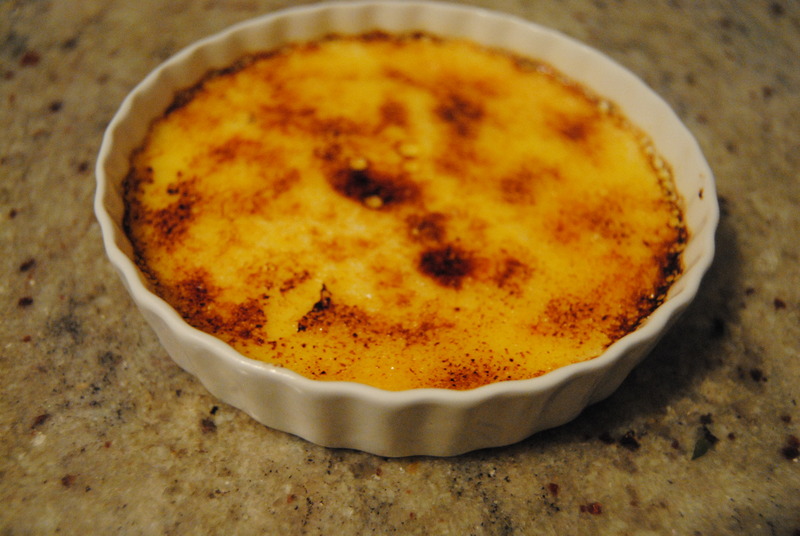 Do you know of any five-year-olds that will tell you Crème Brûlée is their favorite dessert? Shouldn’t it be like Oreos or ice cream sundaes? Nope, not this girl. My infatuation with this caramelized custard began before I knew how to spell it. Don’t let the funny symbols and French name fool you. Despite being served at Michelin star restaurants, Crème Brûlée is incredibly easy to make and features four of the most rare ingredients on earth: sugar, eggs, vanilla and cream. 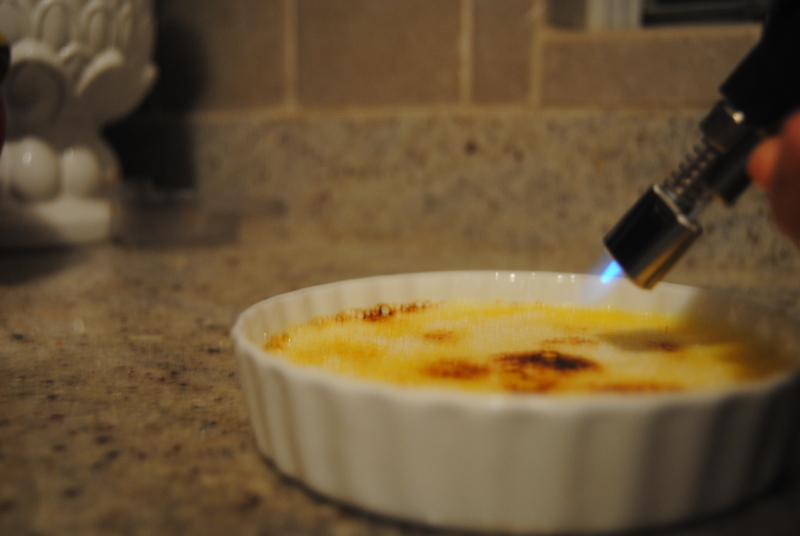 The one catch with this recipe is that you need to own a butane cooking torch. I will admit that I rarely use mine for culinary purposes but instead for lighting candles. You could probably also use it to keep poisonous bugs at bay or maybe even self defense! I was terrified to use mine for the first time but it’s actually quite easy to operate and all of them have a safety switch. Just keep it away from any toddlers or pets and you’ll be fine. If you can’t justify buying a torch, feel free to experiment with your oven broiler—I just can’t guarantee the same result. Preheat oven to 300 degrees. Prepare 4 ramekins by placing them on a large baking pan (with a rim) so that the dishes do not touch each other. Pour water in the baking pan so that the water comes up a little less than halfway on the ramekins. In a medium saucepan, heat cream and remove from burner JUST before it comes to a boil. In a large bowl, mix the eggs and 1/4 cup white sugar with a whisk. Gradually add in hot cream and whisk carefully so the eggs don’t curdle. Add in vanilla extract. Pour equal amounts in dishes and bake for 30-35 minutes or until the batter doesn’t jiggle. Let cool for a few minutes and then refrigerate 1 hour or overnight. Sprinkle 1 tbs superfine sugar on each custard and use a butane torch (or broiler) to caramelize.